Ticket purchases are now available for the highly anticipated Bay Area Maker Faire on May 20-22, 2016! Tell your fans, friends, and family to visit you at the 11th annual Maker Faire where participants will be celebrating a decade of making and spreading the word. With over 2,000 maker spaces, there’s an unlimited about of innovation all in one place for you to see. 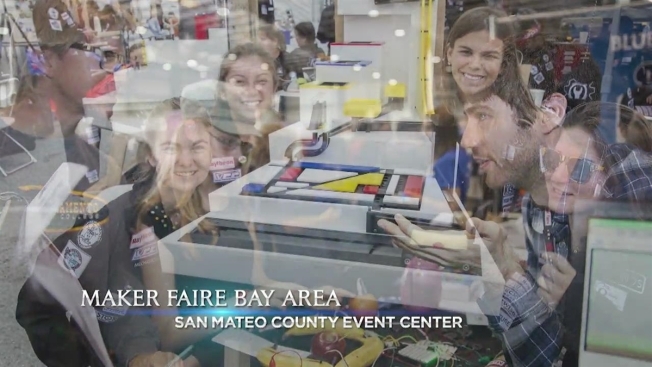 This event is part science fair, part county fair, and part something entirely new, Maker Faire is an all-ages gathering of tech enthusiasts, crafters, educators, tinkerers, hobbyists, engineers, science clubs, authors, artists, students, and commercial exhibitors. All of these “makers” come to Maker Faire to show what they have made and to share what they have learned. This is a gathering of fascinating, curious people who enjoy learning and who love sharing what they can do. It’s a venue for makers to show examples of their work and interact with others about it. Many makers say they have no other place to share what they do. DIY (Do-It-Yourself) is often invisible in our communities, taking place in shops, garages and on kitchen tables. It’s typically out of the spotlight of traditional art or science or craft events. Maker Faire makes visible these projects and ideas that we don’t encounter every day. Don’t miss out on this one of a kind experience!